Smoked meats are all the rage around Australia, as we look into ingenious and delicious ways to cook our meats. Not only is smoking food the new IT hobby, but it’s also easy and fun with the Weber Smoker Series. This new breed of smokers from industry leaders Weber encourages you to get creative in your Sydney outside kitchen and whip up a tasty, slow-cooked meat feast. You’d be forgiven if you had a glance at one of your friend’s Weber Smokers and thinking that you’d just seen R2D2 over there in the corner. 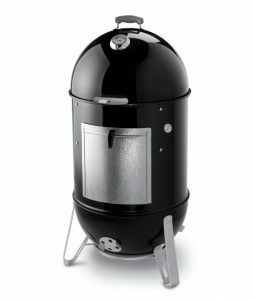 The long, cylindrical design, with a rounded top and rounded bottom, almost looks like someone has taken the original Weber kettle and given it a good old stretch. This stretched design, however, is what makes it the ideal choice for smoking. 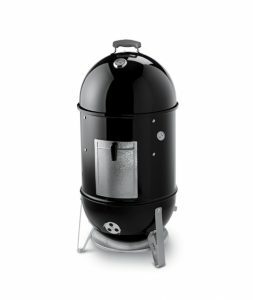 The Weber Smoker Series comes in 3 different sized models – the Weber 37cm Smokey Mountain Cooker, the Weber 47cm Smokey Mountain Cooker, and the Weber 57cm Smokey Mountain Cooker – so one of these will be the perfect fit, whatever your needs are. 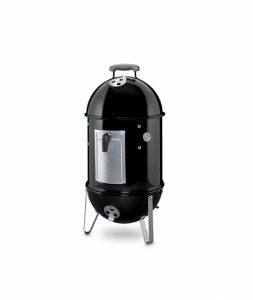 A perfect introduction to the world of Weber smokers! The 37cm is the perfect size for smaller meats or for smaller sized balconies. The most popular and the original Smokey Mountain Cooker. The largest Smokey Mountain Cooker in the Weber Family! Perfect for larger cuts of meat such as brisket, pulled pork and rib racks.